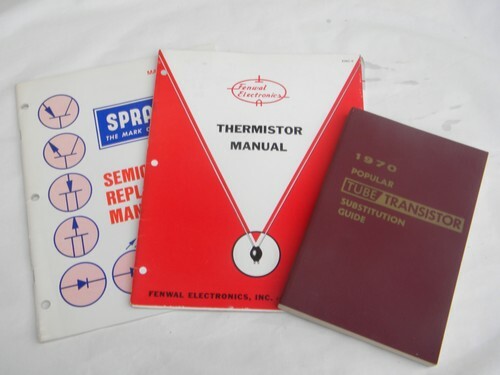 Lot of vintage technical books on transistors from the estate of a shortwave radio enthusiast and electrical engineer. 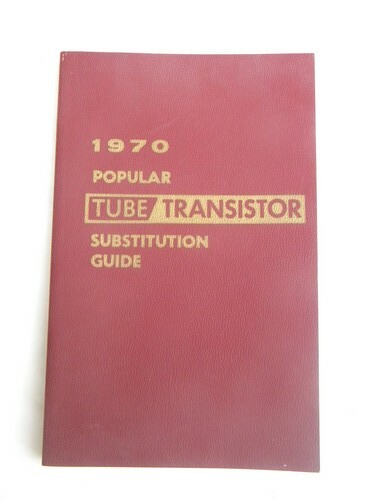 There is a 1970 Popular Tube Transistor Substitution Guide with 224 pages including technical information and schematics on the tube sockets and bases. 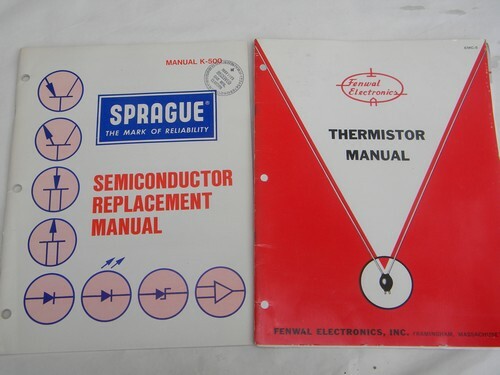 There are also two technical engineering manuals for Fenwal Electronics - Thermistor Manual and a 1973, 48 page Semiconductor Replacement Manual from Sprauge.